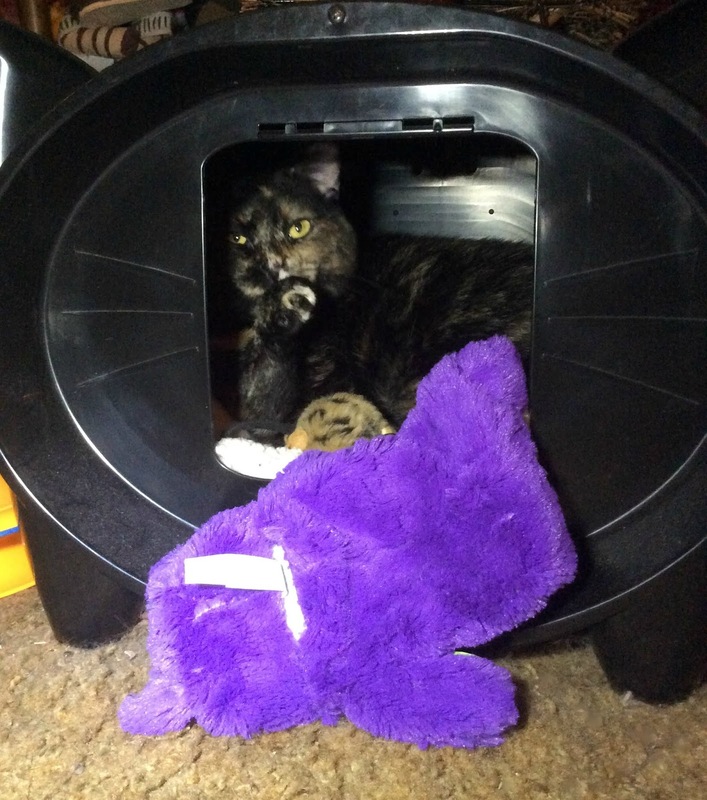 Melissa's Mochas, Mysteries and Meows: It's Not Cuddle Weather!!! Would you believe my crazy stuffie wanted to cuddle in this weather?!?!?! I was NOT in the mood, and gave him a POW...right in the kisser! I don't blame you, Mudpie! That stuffie is crazy to cuddle in this heat! Mudpie, you always need to remind everyone of who is in charge! Oh no! Poor stuffie. I guess it shouldn't mess with you anymore. Mudpie, we couldn't agree with you more. You look like a bouncer, throwing somebody out of the club. You had no time for cuddling on that hot day. Love the photos. Have a cool rest of your day. A stuffie couldn't fit in my cube with me. 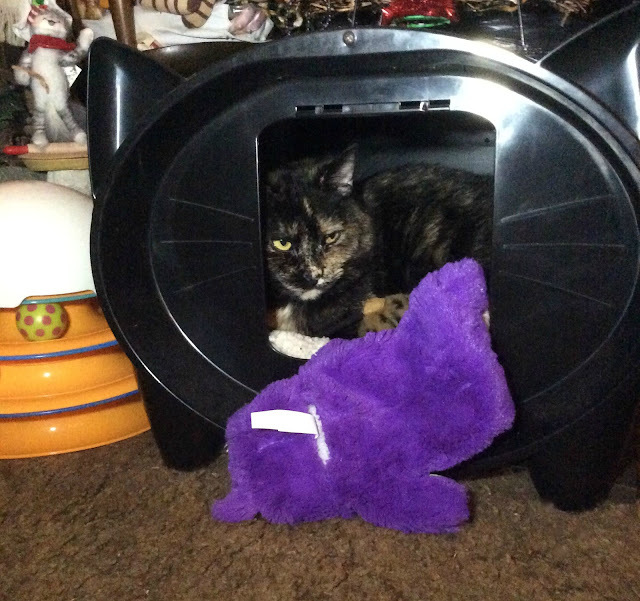 Yeah, it's never too warm that I don't curl up in the cube. You sure did show him, Mudpie. It's definitely too hot for snuggles! Sometimes even a cuddle friend needs a good POW!! You are tough! It's much too hot to cuddle. What's wrong with that stuffie?